Particulars : For Columns, Beams & footing etc. 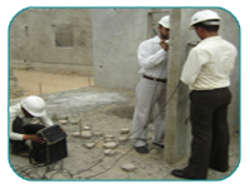 We are the leading organization in the industry to provide our clients the best quality Ultrasonic Pulse Velocity Testing Services. Our company has created a niche in the field of providing Ultra Sonic Pulse Velocity Testing Service. 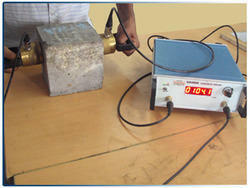 Global lab offers the precise, accurate reliable Reound Hammer testing of RCC Structure. We are recognized by the clients for providing Ultrasonic Pulse Velocity Testing Service. Supported by highly accomplished crew of employees, we are rendering Ultrasonic Pulse Velocity Test Services. These provided services are delivered under the stern supervision of adroit personnel as per set industry principles. In addition to this, these provided services are attributed amid our client for reliability and cost effectiveness. ASP Industrial Test House Pvt. Ltd.